The MV Futura is a deluxe category ship launched in Croatia in 2013. The Futura is one of the most popular deluxe ships in Croatia, setting the standards for luxurious refinement. 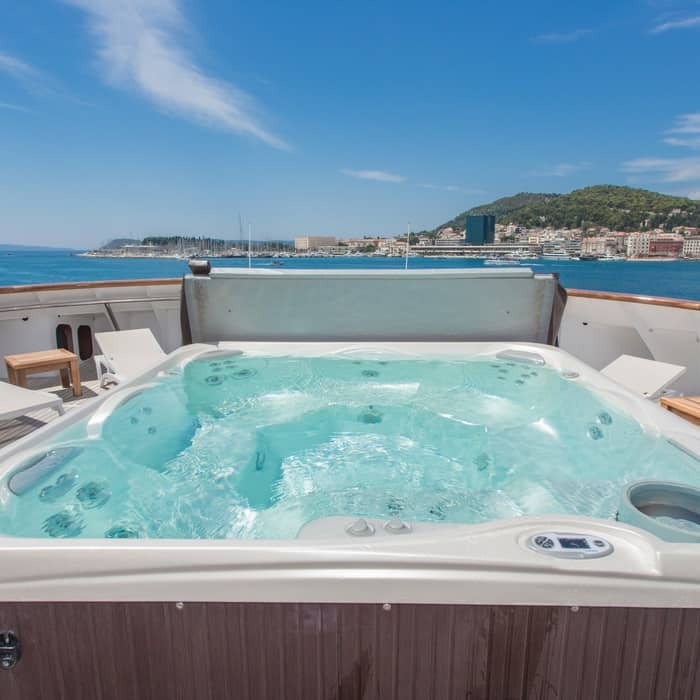 She has 19 spacious cabins with a maximum capacity of 38 guests, offering exceptional personal service and the ability to explore the idyllic Croatian islands in comfort and style. 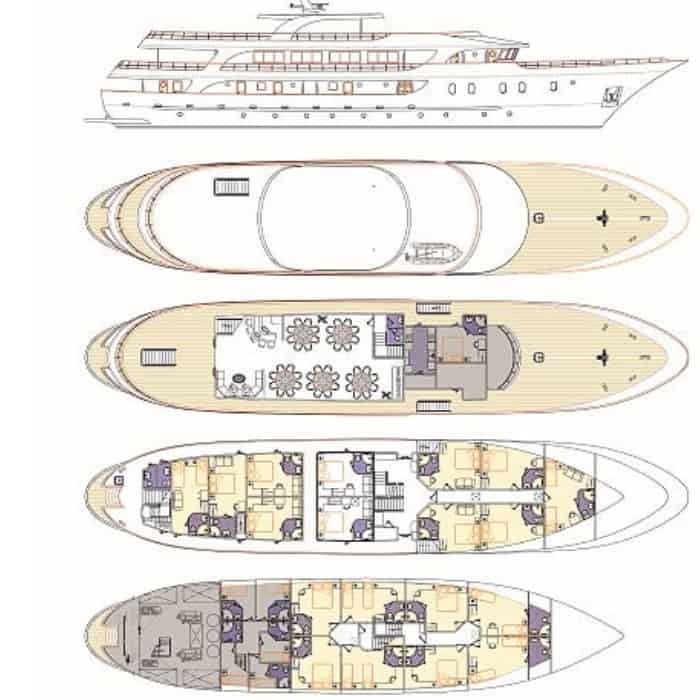 The MV Futura deluxe cruise ship is a 47m (156 ft) long, 9m (30 ft) wide deluxe ship, with a cruising speed of nine nautical miles per hour. The ship was built in 2013 featuring the latest state-of-the-art equipment and amenities. The ship has a maximum capacity of 38 passengers in 19 twin or double cabins, ensuring exceptional personal service. The ships main deck features a spacious air-conditioned dining room with bar area which features an LCD TV, a corner buffet breakfast table and outdoor covered lounge area. 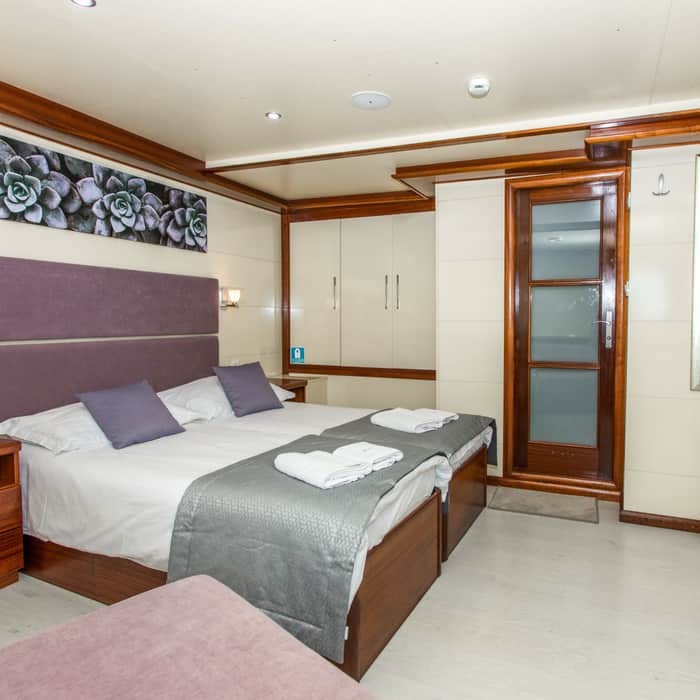 The ship features 19 modern air-conditioned cabins with 11 main deck cabins and 8 lower deck cabins measuring approx 15 to 17 sq meters. All cabins are fully equipped and include a safe deposit box, fire alarm, emergency lights and internal communication for announcements by the cruise director or captain. In addition, each cabin has life jackets, desk and tabouret, wardrobe, night stand, small sofa and a window (main) or port hole (lower deck). The bathrooms on board the ship are fitted with a toilet, shower, washbasin and hair dryer. 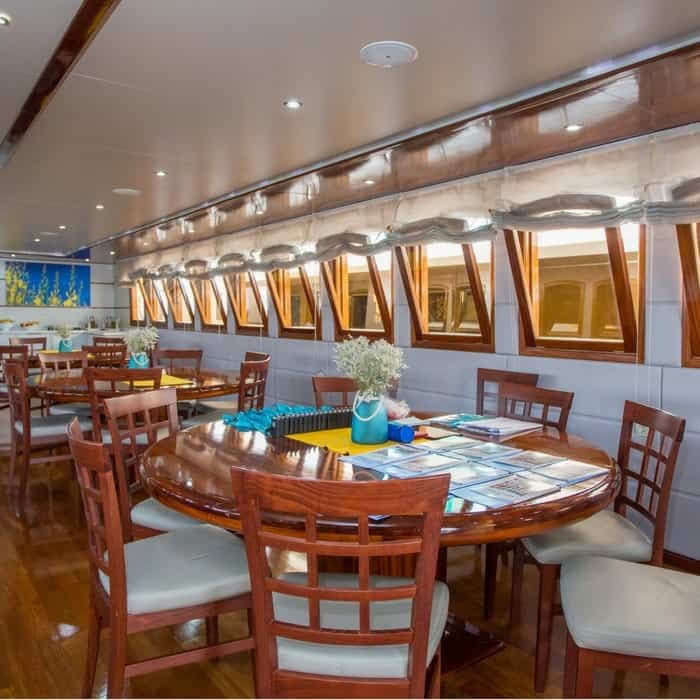 The MV Futura offers plenty of indoor and outdoor space for guests to enjoy with a spacious restaurant and bar area on the main deck with LCD TV, accompanied by a covered outdoor lounge area with sofas. 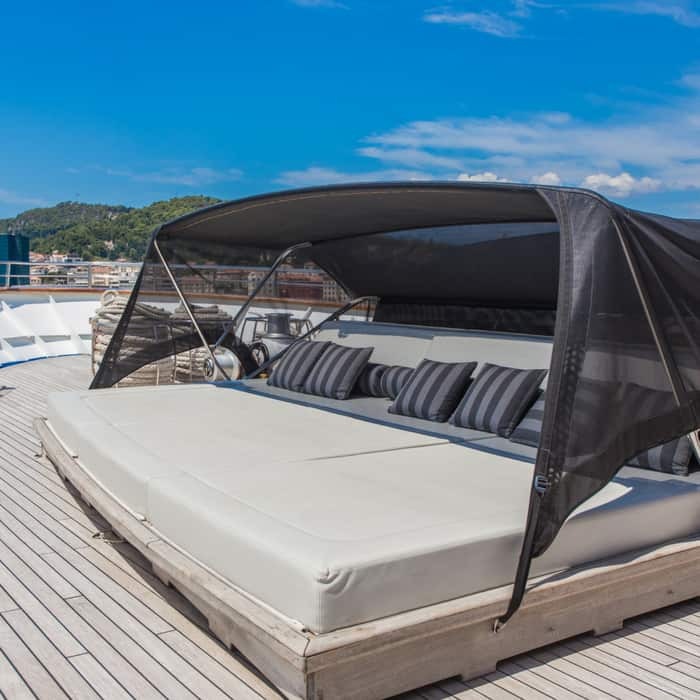 The upper deck is perfect for sunbathing with plenty of sun-loungers for all passengers, a shaded area and an onboard Jacuzzi. Guests looking to swim from the ship are provided with a platform at the back of the ship with additional ladder access to enter the water. A further two outdoor showers and two deck lavatories are also available. Free WIFI is available on board the ship.